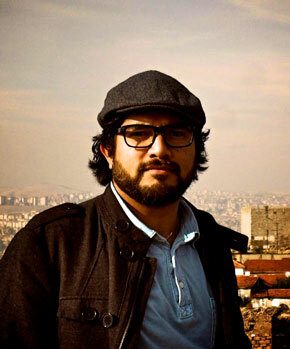 JUAN MANUEL MENDEZ was born in 1977 in Guatemala City. He studied Communications in Guatemala City and Graduated as a film director from the Centre de Estudis Cinematogràfics de Catalunya (C.E.C.C.) in Barcelona, Spain. In 2007, he was invited to participate to the fifth Berlinale Talent Campus, and directed ESTACIÓN QUIMERA, a short film shot in Costa Rica, part of a Central American Project, that was selected in many Latin American festivals. In 2010, he produced and directed CHAPSTICK, a short film that was selected at 2011 Cannes Film Festival Short Film Corner, at New York Latino Filmfest, Lakino Berlin, Cinemaissi Finland, Curtacinema Rio de Janeiro… He is currently developing his first feature LAS FLORES adapted from Denise Phé-Funchal´s novel.